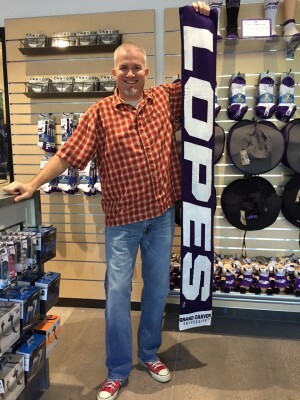 It’s not exactly scarf weather around here, but scarves will be most appropriate — for waving more than wearing — when the GCU men’s and women’s soccer teams play Friday night and Sunday afternoon. 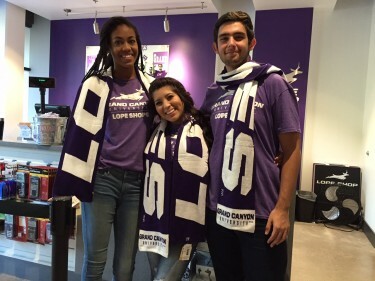 The scarves were made available Friday at the Lope Shop on campus. From left, retail associates Sabrina Junk, Melissa Ruelas and David Derartinian. Lope Shop manager Andy Dunn shows how long a Lopes scarf is.